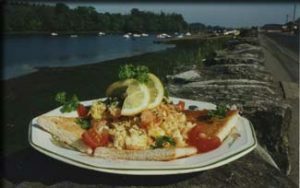 Brigown Bed & Breakfast is renowned for its mouth-watering, hearty, wholesome and varied breakfast menu which will set you up for your day’s activities. Our bacon, sausages, black and white puddings are supplied by Kelly’s Artisan Butchers in Newport. 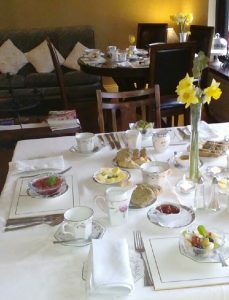 For the less peckish, Marjorie also offers an extensive selection of fresh fruit, juices, muesli, porridge, yoghurt, stewed fruit, cereals, and of course, a mouth-watering selection of fresh baked bread, soda bread and scones, all served with Marjorie’s homemade jams and marmalade. 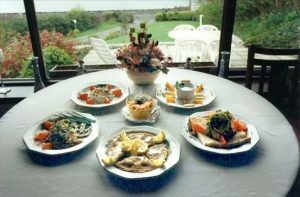 Guests can also choose from a selection of tea, herbal tea and coffee.